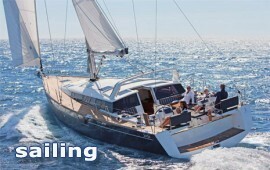 What makes sailing an exciting experience is the feeling and sense of freedom created as the wind blows on our sails.Sporades is a fantastic sailing location in the area of the North Aegean, capable of satisfying even the most demanding traveler wishing to set sail in any of the locations of the Pagasitikos Gulf or the islands of the North Aegean (Skiathos, Skopelos, Alonissos, Skyros).Our modern sailing yacht Beneteau Sense 50 “ANEMOLIA” (2013), with Dock & Go system, is ideal to offer you an unforgettable cruise, as it is a synonym of comfort and luxury and can provide you with a safe travel (it is considered one of the safest yachts) in exquisite beaches with crystal clear waters and cosmopolitan islands! 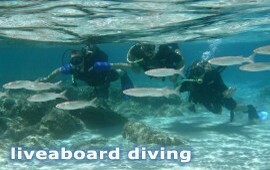 Diving is not considered a modern activity in Greece. It’s an ancient activity first mentioned by the ancient poet Homer in “Odyssey” and continued till recent times, where people in the Aegean islands had to practice free diving around 80m – 100m deep in order to collect sponges and sell them to earn their living and take care of their families. Greek seas, which have very clear crystal waters and extremely rich biodiversity, represent one superb diving destination both for Greeks and foreign divers. More specifically, North Sporades, as a cluster of beautiful islands -consisting of Skiathos, Skopelos (the island where the famous movie «Mama Mia» was filmed), Alonissos, Peristera, Kyra Panagia, Skyros and many other smaller islands – form an extremely popular place for diving. Alongside this area, the National Marine Park in the Northern Sporades (which is the biggest in Europe), the Pagasetic Gulf and Pelion, compose an amazing array of options, able to make these diving holidays truly unique! Today, we dive – with our private luxurious and specially equipped for diving and sailing yacht, Beneteau Sense 50 «named» Anemolia » – in these crystal clear waters to enjoy what the magic seabed can give us! Dive in stunning underwater landscapes with: wonderful wrecks, mysterious caves and reefs, rich flora with sea anemones, corals and all the kinds of the Mediterranean fish and countless marine species like starfish, shells and Monachus-Monachus seals. 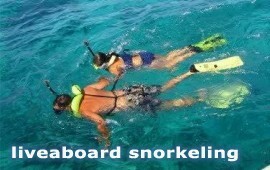 Children or people who are touched by the captive scenery of underwater world, may find snorkeling one of the most interesting marine activities. You can explore sea, by just swimming on the surface with mask, snorkel and fins, while trying low deep dives, in order to swim among fishes and life rocks. It is also provided the possibility of snorkeling with the guidance of experienced instructors in a variety of surface caves, the identification of many Mediterranean underwater species and free swimming in rocky seabeds both in Sporades islands and in the wonderful waters of Pelion. Moreover, it is given the ability to approach modern shipwrecks located at relatively shallow and excellent clear water.